Minnesota Department of Transportation (MNDOT) wanted to develop a state-wide fundraising event to increase bicycle and motorcycle awareness. The Event Group was hired to assess the viability of this event and suggest a solution. The Event Group guided MNDOT through a strategic planning process to assess their goal of producing a state-wide bike fundraising event. In conducting the planning process, The Event Group worked with MNDOT to define their goals and evaluate their resources, and it was ultimately decided that an event was not the best fit for their needs. The Event Group advised a more cost and time effective alternative with a marketing campaign. The Event Group's strategic planning process helped this client understand they did not have the time, manpower, or financial resources they needed to successfully undertake the fundraising project. With the results of the strategic plan they were able to show the constituents that they seriously studied the project and mapped out the number of volunteers and resources needed along with the timeline, and all sides agreed the project was larger than manageable. 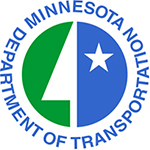 We assisted MNDOT and a prime contractor in the development of a “Toward Zero Deaths” marketing campaign to increase bicycle and motorcycle awareness, as well as a second “Bike to Work” campaign.